In our animated film you can see how the world of traffic and mobility will evolve in the next 20 years. You will be amazed and surprised in just 3 minutes! Trendsportal offers residents, businesses, interested parties and governments access to stimulating ideas and an unexpected look at traffic and transport issues in North Limburg. Trendsportal is an initiative of the eight municipalities of Regional Mobility RMO (Regionaal mobiliteitsoverleg) of North Limburg and is open to everyone who feels involved personally or professionally, and actively wants to contribute to sustainable, safe and smart mobility for tomorrow. The journey that Trendsportal is going to make together with all those involved is not a blueprint. By means of process steps via the SUMP (Sustainable Urban Mobility Plan) method, we are jointly developing the vision on mobility in North Limburg. The visual you see here shows this journey. From the world of today, to the world of tomorrow. From just thinking about something at a desk to cooperation. From our own cars to sustainable energy solutions, electric shared cars and mobility brokers etc. In the middle of the visual you can see the experimental garden of North Limburg. In the coming period, we will be working together with partners on a complete, future-proof mobility vision for North Limburg. 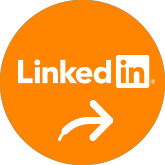 Discuss mobility through the joint Trendsportal Linkedin group. We post and share information, and new statements on this platform. You can also share your ideas and questions here. So register now!